CULLMAN – A pedestrian was struck by a vehicle in downtown Cullman early Thursday morning. 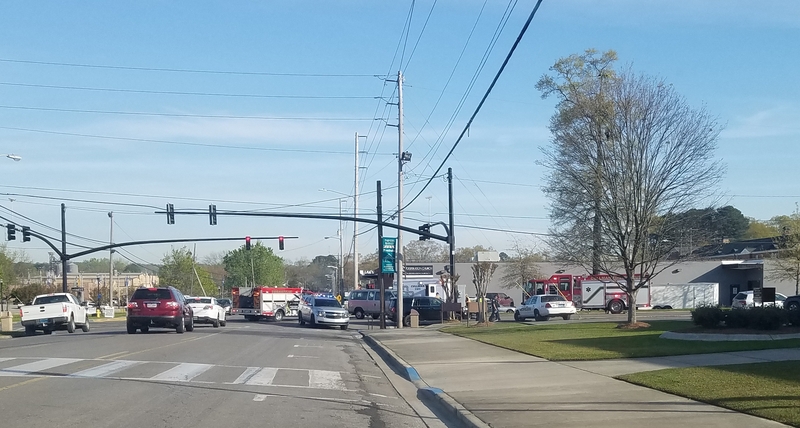 The incident happened at the intersection of Second Avenue Northeast and Arnold Street Northeast by Cullman City Hall around 8 a.m. According to the Cullman Police Department (CPD) Officer Jeff Mize, the victim, a 79-year-old woman, was flown to Huntsville Hospital for treatment of her injuries. Mize said the victim was walking south in the crosswalk on Arnold Street, when a van traveling south on Second Avenue made a left turn and struck the victim. Mize said the victim suffered head injuries. "Any time you fly any patient out, it could be serious injuries," said Cullman Fire Rescue Division Chief Brian Bradberry. "The guys on the scene said that she was conscious." Cullman Fire Rescue, Cullman EMS and the CPD were all active at the scene.